We thought it was true, and it turns out we were correct! Shaq Fu: A Legend Reborn can totally be a real video game. For this to happen, the gaming community must band together and shell out $450,000 to basketball legend Shaquille O'Neal's IndieGoGo campaign to get it jump started. True, Shaq has a net worth of about $350 million, but he has already invested a lot of time and money into the project. No doubt, this campaign is just to gauge public interest and make a plan of attack. Game developer Big Deez Productions addresses this on the campaign page. He is the best center ever to play the game. Of course he's got money, and yes he will be investing a lot of his own time and money in this project. We will be investing considerably more of our own money in the game than we are asking for. What are the incentives for giving Shaq your money? Well, like most indie campaigns, a $15 pledge will get you the game, but the more money you throw, the more Shaq you can have in your life. Donating $500 will have Shaq follow your Instagram page and leave comments on your photos. "Who knows, you might even become friends?" the campaign says. $1,000 will have Shaq follow you on Twitter, and $3,000 will land you one of his size 22 vintage Reebok Shaq Attaq sneakers. It gets even better with higher donations. $6,500 will land you a job as the game's concept artist. $15,000 will give you a once in a lifetime opportunity to travel to Shaq's house and play some b-ball with him on his private court. $25,000 will land you and six friends a two hour meal with Shaq just as long as you pay the travel costs. "This isn't about a celebrity giving away a trinkets for cash, this is a true partnership. We think it is unprecedented. Shaq is ready and willing to work for your support and you can bet that he'll be grateful for every cent and every plug he gets. He loves his fans and to be able to collaborate with them on something like this has him (and us!) really excited." The videos they have up look ridiculous, but isn't that the whole point of this revival? A muscular Shaq beats up a bunch of ninjas to the beats of some 90s hip-hop. Don't you just miss the bounciness and optimism of the 90s? Why are we so gloomy these days? I might be checking out the game, but I might have to pass on the expanded rewards. 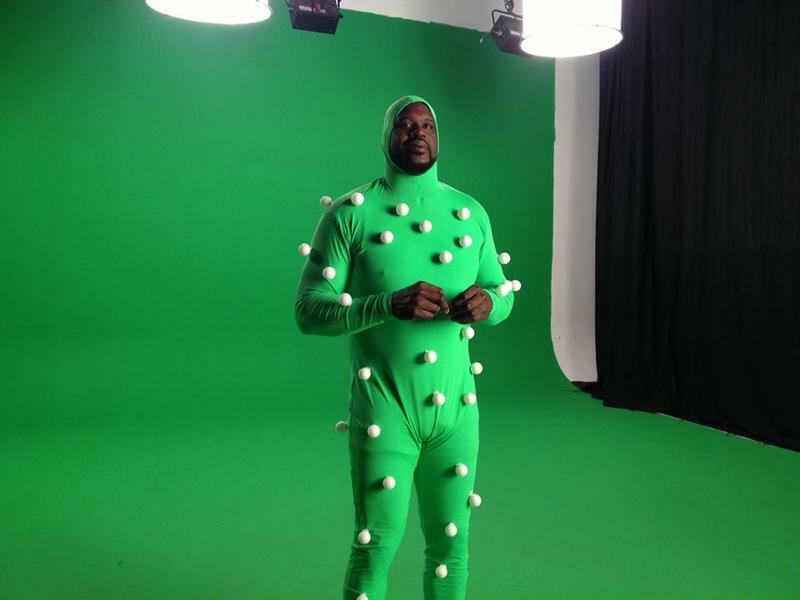 I'm already happy just because I got to see Shaq in that silly mo-cap suit. Reminds me of his final season with the Celtics.